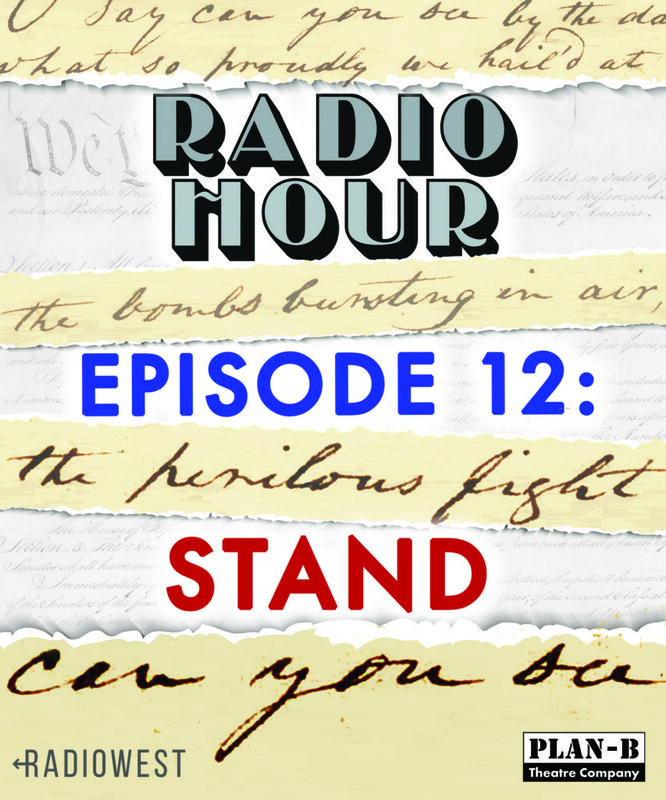 NOTE: On Thursday, April 26 at 9 a.m., The Utah Review will live blog the only live performance of Radio Hour Episode 12: Stand, produced by Plan-B Theatre and KUER-FM’s RadioWest program. Tune into KUER-FM 90.1 and follow The Utah Review during the broadcast. Utah playwright Matthew Ivan Bennett is impeccably an artist of Renaissance intellectual curiosity. For those who follow him on Facebook, there is no topic that does not catch his piercing interest, which usually finds its way into one of his plays. In Stand, the newest installment of the Radio Hour Series, a solid, successful collaboration of Plan-B Theatre and KUER-FM’s RadioWest morning show, Bennett blends his unquenchable curiosity with politics and technology in a 48-minute play of dystopia and moral complexities that will simultaneously thrill, confuse and challenge listeners, regardless of their beliefs. Many of the previous 11 episodes have been centered around a holiday celebration – mostly, Halloween but also Christmas, more recently. Most have involved some form of adaptation from a seasonal tale. But, Stand continues an effective deviation from Radio Hour’s early history. 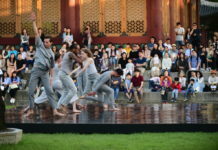 For the third consecutive episode and for the fourth time in the series’ history, Stand is being produced without a corresponding stage performance. And, in Bennett’s ninth turn at Radio Hour, he produces an original story, which once again features Jay Perry, the only actor to have appeared in every episode. Perry will be joined by Shane Mozaffari and Isabella Reeder for Stand. Also notable is that Doug Fabrizio, RadioWest’s host, is not directly involved in this latest play, either as narrator or actor. Stand is set in the U.S. during the year of 2050.It appears unfamiliar but perhaps not as much as some people might be comfortable in knowing. The earliest sign of change is noticed in the Pledge of Allegiance, which is exactly as we know it except for the addition of one word at the end of it – “citizens.” This is significant for the story, which builds around Alicia Mora, an agent who honors the expectations of her government. The country is in turmoil, especially now that any separation between church and state has dissolved. The leader is hugely unpopular. There is a Resistance movement. That line signals Bennett’s attention to crafting characters and a story where moral goodness is not demarcated from its bad counterpart. It’s really more than a liberal’s nightmare, as Bennett has previously described. Loyalty scores and lie detection tests are routine. Surveillance technology is standard. Digi-bands are worn to confirm citizenship, iSpecs is a brand of smart glasses, Hash-It is a social networking site, and auto-cast is a remotely initiated automatic broadcast on a home media machine. In Bennett’s imagined American landscape of 2050, it’s not a leap of credulity to see how the country has moved beyond today’s terms of snowflake or cuck, a right-wing derogatory term translating approximately to “an unmanly person.” Liberalina is a derogatory term for the political left and soy boy is a right-wing term for so-called feminized men, whose testosterone levels (supposedly) have dropped from eating soy, as he indicates in a glossary appended to the main script. And, Bennett is astute and nuanced about situating the narrative as more than an artistic response to the current political climate and discourse. The dystopic America of 2050 he imagines is a reasonable fantasy taken from the country’s history. Take the Pledge of Allegiance as an example. It evolved from its original 1892 form to its 1923 edition to specify “to the Flag of the United States of America and to the Republic.” In 1954, “under God” was added after “one nation.” Just one word (“citizens”) transforms the Pledge in Stand. 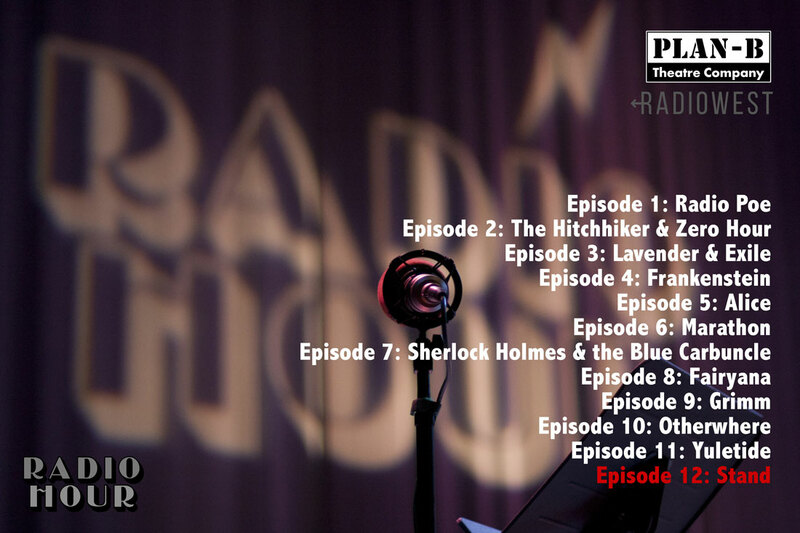 The latest Radio Hour episode plays out the long-tail effects of that religious revival in a science fiction frame that, as expected, can be as prescient and credibly realistic as the best works of that genre. The broadcast crew includes eFoley by Joe Killian; original music by Dave Evanoff and designed and directed by Cheryl Cluff. Michael Havey mixed the show with help from Kate Hatley and Tim Slover. 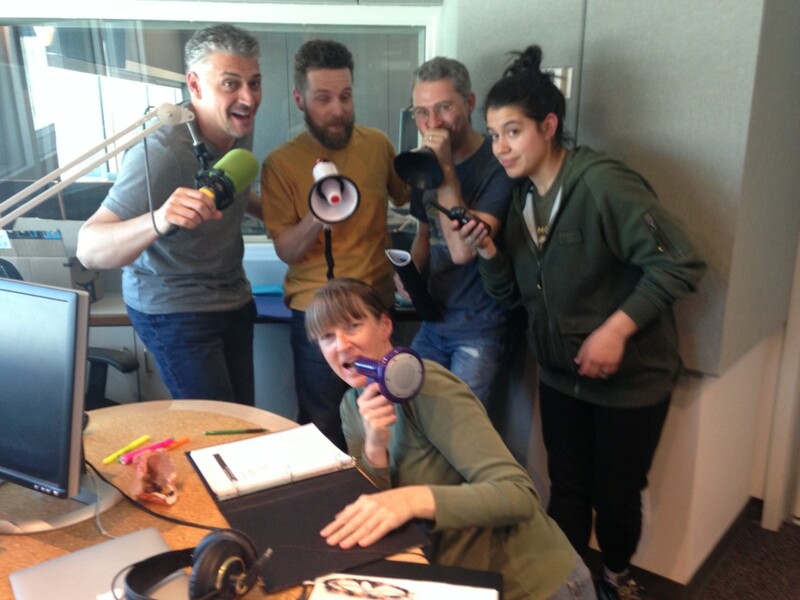 RadioWest is produced by Benjamin Bombard and Elaine Clark. Doug Fabrizio is the show’s host and executive producer.